Data is the new currency, and in order to stay competitive businesses must protect it. 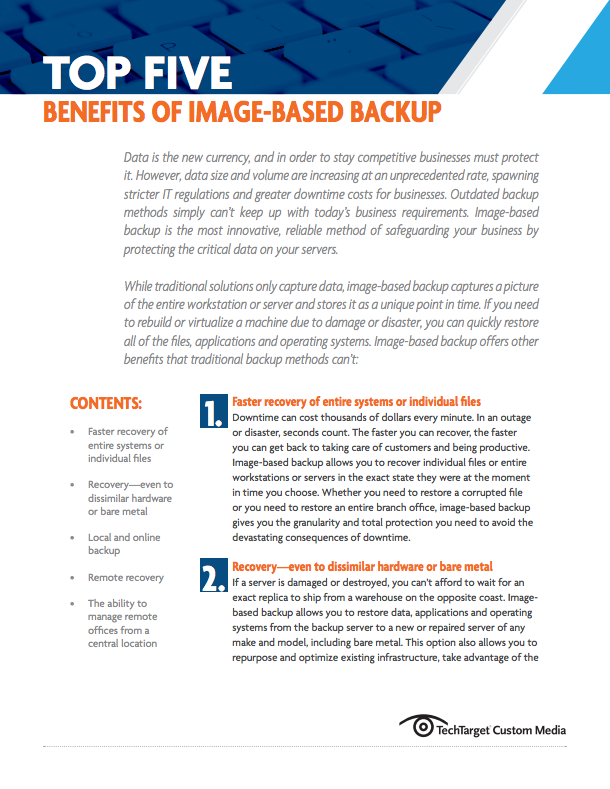 Learn the top five benefits of image-based data backup, and how it can protect your business from the costs and consequences of downtime and data loss. Courtesy of our partner Datto.